Emily, 7, left, and Sarah, 10,-- August 25, 1999! 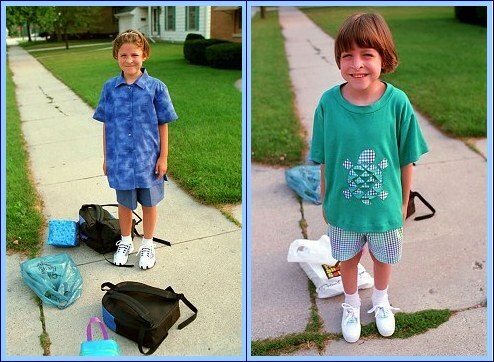 Sarah, left, models her new clothes as she waits for the school bus! 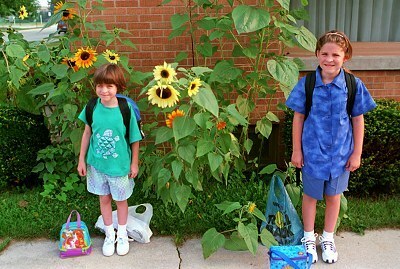 Emily, right, models her new outfit on the first day of school. She was eager to meet her teacher, but her teacher was still on her honeymoon and wouldn't make it to school until the 3rd day! She was in Hawaii! This page last updated on April 29, 2010 11:48 PM .